Russia recently launched a floating nuclear power station on the Baltic Sea. The 70-megawatt Akademik Lomonosov plant will journey north around Norway to the Arctic town Pevek, and it could ultimately provide power for around 100,000 people. However some fear its environmental impact — Greenpeace Central and Eastern Europe nuclear expert Jan Haverkamp referred to the plant as a “nuclear Titanic”. “Nuclear reactors bobbing around the Arctic Ocean will pose a shockingly obvious threat to a fragile environment which is already under enormous pressure from climate change,” Haverkamp said in a statement. State-owned company Rosatom built the Akademik Lomonosov, which has been in the works for years. The floating nuclear plant has two reactors and is towed by two boats. Akademik Lomonosov will replace the Bilibino nuclear power plant, constructed in 1974, and the 70-year-old Chaunskaya Thermal Power Plant. Ars Technica said Bilibino was once the world’s northernmost nuclear power station, and the Akademik Lomonosov will claim that title when it starts operating. In Pevek, construction of onshore infrastructure is underway. The pier, hydraulic engineering structures and other buildings important for mooring will be ready to go when Akademik Lomonosov arrives. The plant will provide electricity for remote industrial plants, port cities and offshore oil and gas platforms. This isn’t the world’s first floating nuclear power station. The United States had a floating nuclear plant between 1968 and 1975 in Panama that powered nearby communities and the military during the Vietnam War. @Lacy Cooke - Greenpeace is NOT an authoritative source on Nuclear anything. This comment: "“Nuclear reactors bobbing around the Arctic Ocean will pose a shockingly obvious threat to a fragile environment which is already under enormous pressure from climate change,” is prima facie absurd, as Nuclear Power is the only zero-carbon power source capable of operating in the frozen temperatures of the Arctic North. Please stop giving biased coverage to an organization that has done more damage to the climate by preventing Nuclear Power buildout than practically any other source. Greenpeace hurts the climate by hindering Nuclear Power! Russia recently launched a floating nuclear power plant. 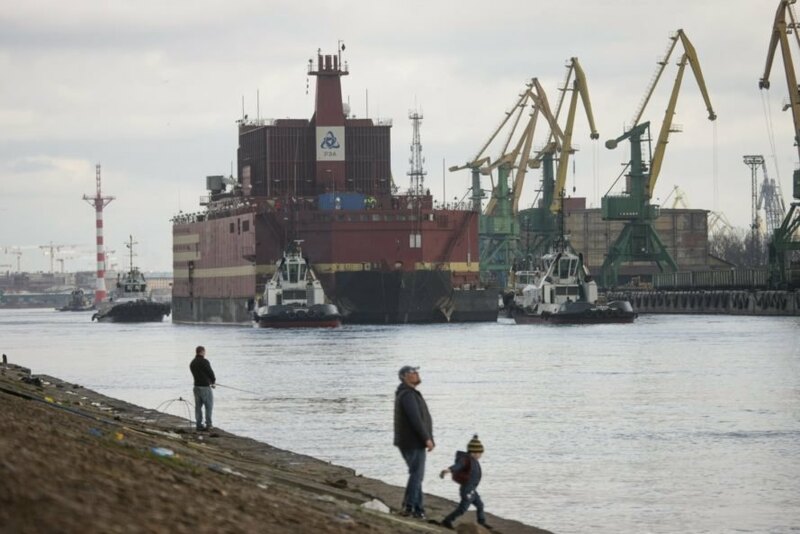 Russia's floating nuclear power plant is ultimately headed for an Arctic town. Many people are worried about the impact the floating nuclear power plant could have on the environment.